Does your single, low-note horn that came standard with your 2007 through 2011 Jeep Wrangler, sound like a "half-dead goat"? 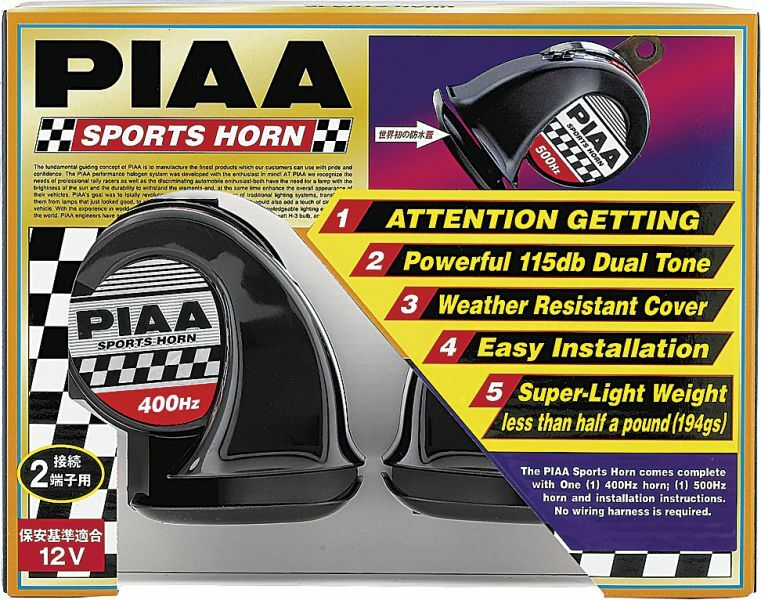 If so, these PIAA Sports Horns are a great upgrade. They have a nice, loud, "American Car" sound, which I prefer. 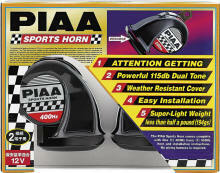 Search YouTube for sound clips of these PIAA Sports Horns. Easy installation. 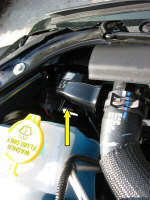 The low-tone PIAA horn replaces the original factory horn in the same location. The high-tone PIAA horn mounts to an existing bolt as shown in the above photos. The PIAA horns come with their own brackets, so it is just a matter of removing the factory horn, and installing the PIAA horns with their new brackets. The original factory horn wiring plugs into the new PIAA horn using the original factory connectors. 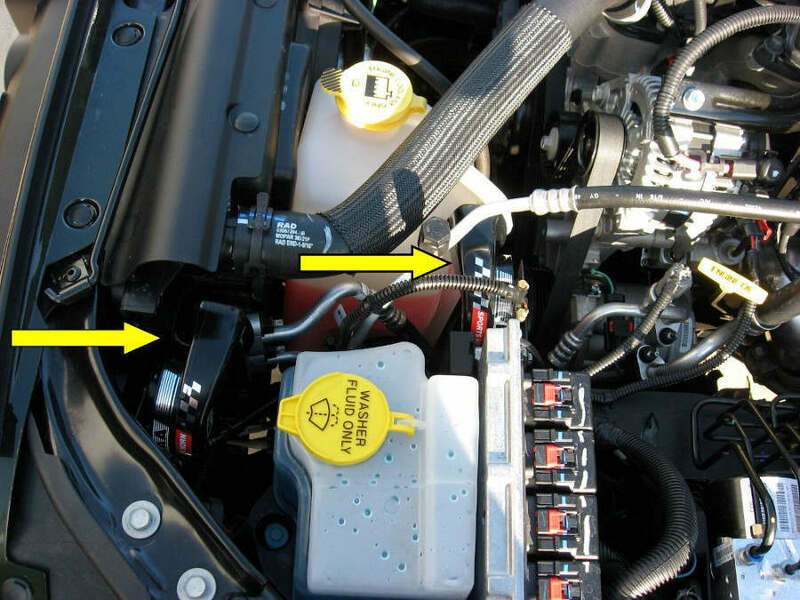 To connect the second PIAA horn, use the supplied wires that come with the new PIAA horns. Leave the female connectors on the ends of both new PIAA wires, but cut and remove the "U-shaped" connector ends on the PIAA wires. Use these quick splice wire connectors shown below, in 16-14 gauge to connect the new PIAA wires from the original factory wires to the second PIAA horn. 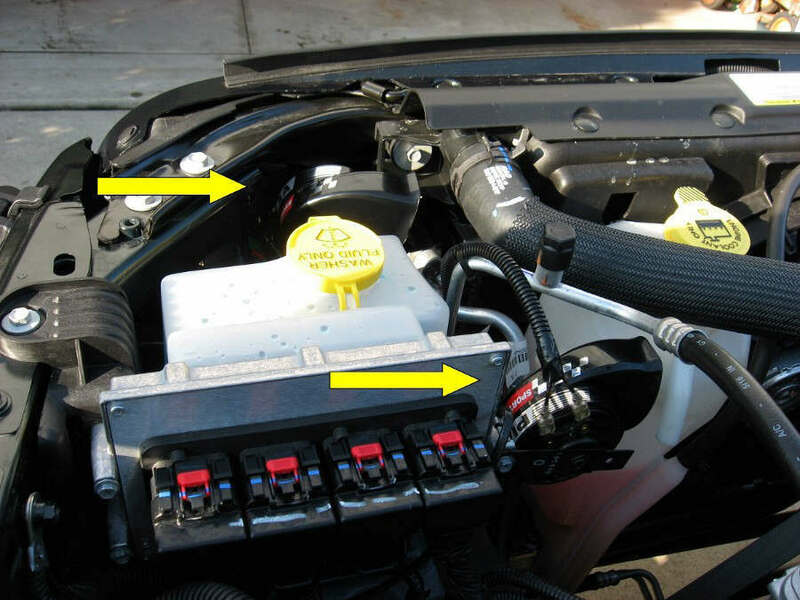 After both horns are connected and working properly, use plastic automotive, wire loom shown below, available at your local auto parts store, to cover the new wiring to the second horn, for a nice, clean, protected installation.